Dyers have taken to using the open space of the former riding grounds, and their textiles hang out to dry. 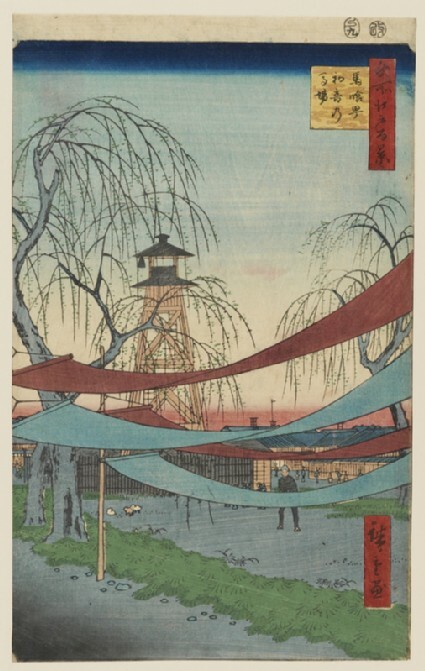 In the middle distance is the fire-watching tower, reminder of the ever-present danger to Tokyo of fires generated by earthquakes, and of the fact that Hiroshige was a firewatcher by hereditary profession. The four colourful strips of cloth in the foreground of this print have been hung out to dry by dyers. 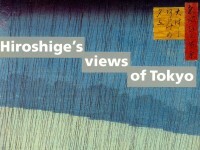 In some impressions of the print, Hiroshige emphasizes the texture of the cloth by embossing a pattern on the surface of one of the strips. 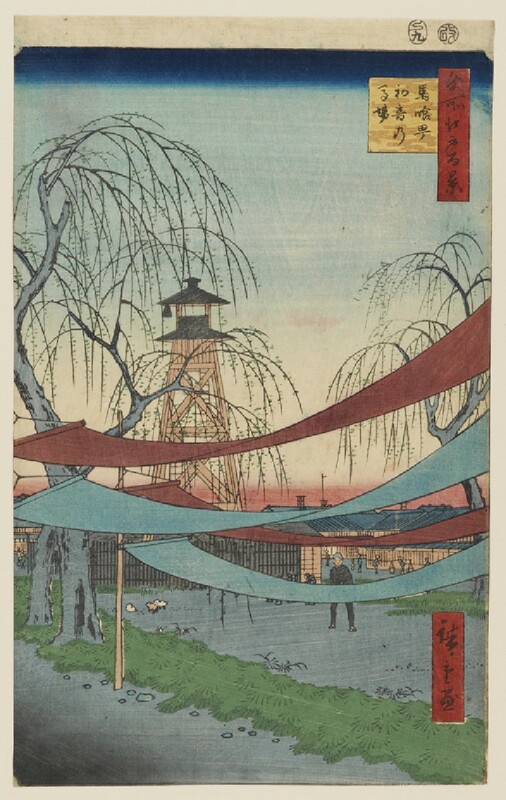 In the background stands one of the many fire-watch towers built across the city of Edo.